This will be the third 4th of July in Snoqualmie with an aerial fireworks ban in place. The ban was enacted after a suspected bottle rocket caused a severe house fire on Fairway Ave in 2014. 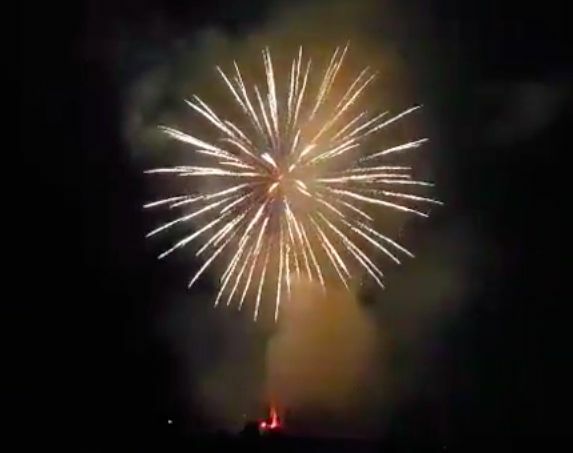 The city said via news release that both Police and Fire Departments will be focusing on fireworks safety AND enforcing fireworks laws this coming Independence Day. Good news – this will also be the third year for the Public Fireworks Display at Snoqualmie Community Park – Red, White & Boom. The professional, fireworks show was put together in an effort to safely celebrate Independence Day. Red, White & Boom Festivities start at 7PM at Snoqualmie Community Park, 35016 SE Ridge Street on Snoqualmie Ridge. Fireworks start at approximately 9:45PM. Red, White & Boom is organized by Serve Snoqualmie with sponsorship from local organizations and businesses. Here’s a reminder of what fireworks are legal and illegal in the city limits of Snoqualmie. Some fireworks sold at state-approved stands, as well as those on tribal reservations, can become illegal when possessed or discharged in Snoqualmie city limits. No fireworks may be possessed or discharged in any public park. A violation will result in a civil infraction. NOTE: Unincorporated areas (outside city limits) of Snoqualmie and North Bend follow King County fireworks laws. City of North Bend residents follow North Bend municipal code. Both jurisdictions allow more types of fireworks than Snoqualmie, but they can only be set off between 9AM – midnight on July 4th. More info on City of North Bend and unincorporated King County fireworks regulations can be found HERE. Keep a bucket of water and fire extinguisher nearby to put out stray sparks. Only adults should light fireworks or handle sparklers. Consider pet safety and security.